At Greenhaus we provide relaxing and high quality Nail Care. Our trained team will not only create a beautiful looking finish, they will also tend to your skin care needs. 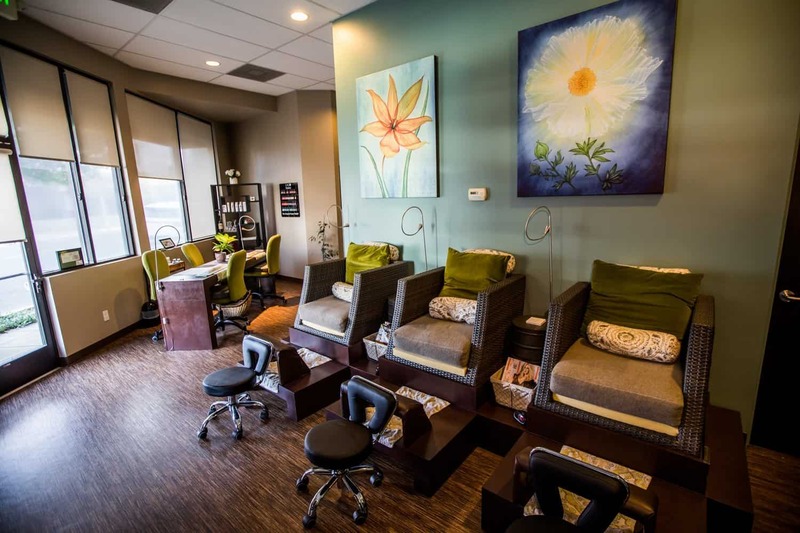 Choose one of our organic spa manicures or spa pedicures, or try a shellac manicure. All Nail Care treatments include shaping, cuticle care, buff or polish. Relax as your hands and nails are exfoliated, massaged, buffed and polished. The perfect balance of brilliant nail work with just enough spa touches. Feet are exfoliated, massaged, buffed and polished. Take care of yourself and go natural. The perfect treat to soften and hydrate your hands. Combining exfoliation, a moisture rich paraffin-alternative wrap, and a relaxing hand and arm massage. Finished with shaping, buffing, and polish. The ideal antidote for tired aching feet the natural way! Start with a warm foot soak, next enjoy a sugar exfoliation to remove all dead skin to reveal smoother skin. After a melting massage, feet are wrapped in a nourishing paraffin-alternative wrap to comfort and improve circulation. Finished with shaping, buffing, and polish. Break away from damaged nails with this chip free, ultra shine, longest lasting manicure ever. An Essential Manicure with an Essential Pedicure. A Shellac Manicure with an Essential Pedicure.